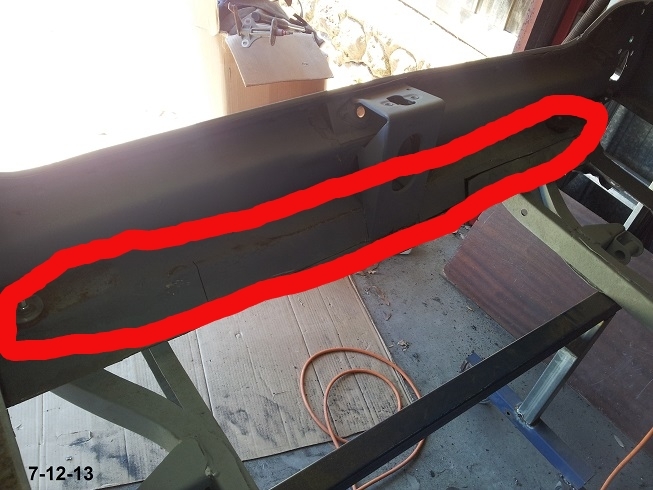 Hi all, I am in the process of removing my trunk floor, and need to know if I remove it completely including the part where its bolted to the frame at the very rear (see pic), and the trunk extensions, won't the body flex too much as there is no support at all at the rear? Place your supports for the rear of the car just in front of the rear wheel openings. You are right, if the back is supporting the rear of the car, with the floor removed, it may fold up. That's good thinking Joe...Always think safety first...plus wouldn't want to damage Christine. thanks guys I will not remove it for the time being, I will wait til I get a floor for it which hopefully I can organise early in the new year!